100% satisfied!!! Received my 5 Tiki Bar stools this afternoon and what a treat it was. They are going to be a great addition to my backyard patio. Thank you Ryan for a job well done. Your work is amazing. I highly recommend Ryan for any custom wood working job they are looking for. 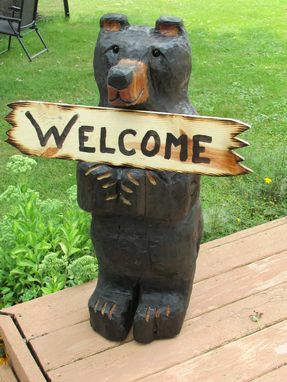 Hand Carved Black Bear welcome sign was carved out of red cedar and stained with black ebony stain. 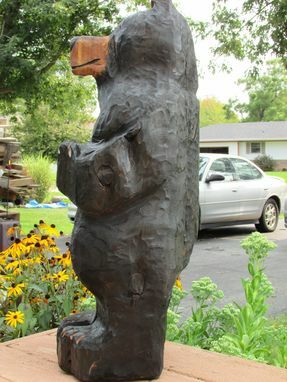 Sprayed with a clear coat finish to give it a little shine. 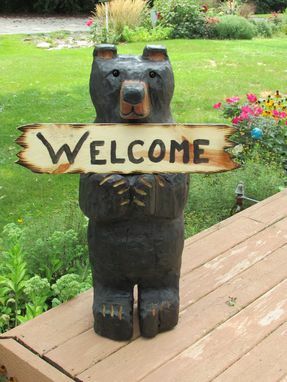 Sign was made just from a pine board and given same clear coat finish for exterior use. 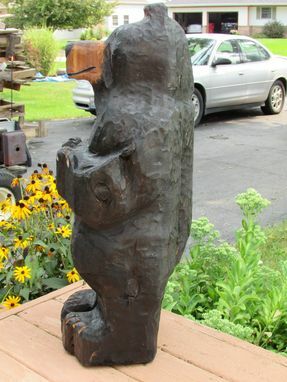 Stands roughly 3 ft tall and 12-14" diameter. 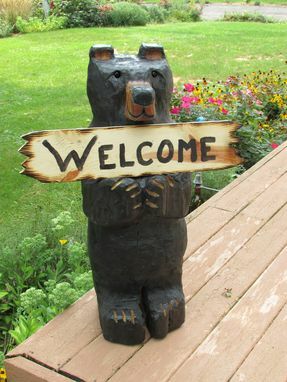 Comes with a welcome sign unless indicated at checkout. Every maker has a story. Be a part of Wiele Wood Works's story by placing an order, leaving a review, and seeing your review appear here.